This article needs additional citations for verification . Please help improve this article by adding citations to reliable sources. Unsourced material may be challenged and removed. A private is a soldier of the lowest military rank (equivalent to NATO Rank Grades OR-1 to OR-3 depending on the force served in). In modern military writing, "private" is shortened to "Pte" in the United Kingdom and other Commonwealth of Nations countries and to "Pvt." in the United States. The term derives from the medieval term "private soldiers" (a term still used in the British Army), denoting individuals who were either hired, conscripted, or mustered into service by a feudal nobleman commanding a battle group of an army. [ citation needed ] The usage of "private" dates from the 18th century. Conscription, sometimes called the draft, is the compulsory enlistment of people in a national service, most often a military service. Conscription dates back to antiquity and continues in some countries to the present day under various names. The modern system of near-universal national conscription for young men dates to the French Revolution in the 1790s, where it became the basis of a very large and powerful military. Most European nations later copied the system in peacetime, so that men at a certain age would serve 1–8 years on active duty and then transfer to the reserve force. Feudalism was a combination of legal and military customs in medieval Europe that flourished between the 9th and 15th centuries. Broadly defined, it was a way of structuring society around relationships derived from the holding of land in exchange for service or labour. Although derived from the Latin word feodum or feudum (fief), then in use, the term feudalism and the system it describes were not conceived of as a formal political system by the people living in the Middle Ages. In its classic definition, by François-Louis Ganshof (1944), feudalism describes a set of reciprocal legal and military obligations among the warrior nobility revolving around the three key concepts of lords, vassals and fiefs. For information, you may refer to Israel Defense Forces ranks. In the Israel Defense Forces, טוראי Turai ("private") refers to the lowest enlisted rank. After 7–10 months of service (7 for combatants, 8 for combat support and 10 for non-combatants) soldiers are promoted from private to corporal (rav-turai or rabat), if they performed their duties appropriately during this time. Soldiers who take a commander's course, are prisoner instructors or practical engineers become corporals earlier. An IDF private wears no uniform insignia and is sometimes described as having a "slick sleeve" for this reason. The Israel Defense Forces, commonly known in Israel by the Hebrew acronym Tzahal, are the military forces of the State of Israel. They consist of the ground forces, air force, and navy. It is the sole military wing of the Israeli security forces, and has no civilian jurisdiction within Israel. The IDF is headed by its Chief of General Staff, the Ramatkal, subordinate to the Defense Minister of Israel; Lieutenant General Gadi Eizenkot has served as Chief of Staff since 2015. Corporal is a military rank in use in some form by many militaries and by some police forces or other uniformed organizations. Within NATO, each member nation's corresponding military rank of corporal is combined under the NATO-standard rank scale code OR-3 or OR-4. However, there are often differences in how each nation employs corporals. Some militaries don't have corporals, but may instead have a Junior Sergeant. The equivalent ranks to privates within the North and South Korean armies are il-byong (private first class) and e-byong (private second class). The symbol for this rank is 1 line ( | ) or 2 lines ( || ). Private second class is known by 1 line, while private first class is 2 lines. In Indonesia, this rank is referred to as Tamtama (specifically Prajurit), which is the lowest rank in the Indonesian Armed Forces and special Police Force. 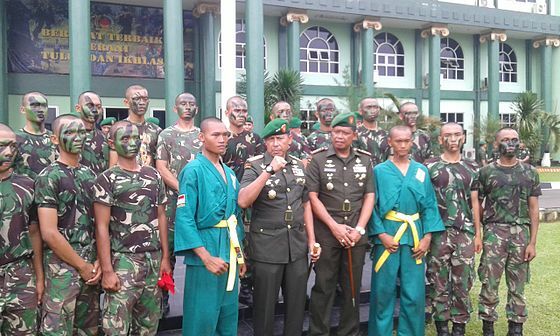 In the Indonesian Army, "Private" has three levels, which are: Private (Prajurit Dua), Private First Class (Prajurit Satu), and Master Private (Prajurit Kepala). After this rank, it is promoted the rank: Corporal. Indonesia, officially the Republic of Indonesia, is a country in Southeast Asia, between the Indian and Pacific oceans. It is the world's largest island country, with more than seventeen thousand islands, and at 1,904,569 square kilometres, the 14th largest by land area and the 7th largest in combined sea and land area. With over 261 million people, it is the world's 4th most populous country as well as the most populous Muslim-majority country. Java, the world's most populous island, contains more than half of the country's population. The Indonesian Army, the land component of the Indonesian National Armed Forces, has an estimated strength of 300,000 active personnel. The history of the Indonesian Army has its roots in 1945 when the Tentara Keamanan Rakyat (TKR) "Civil Security Forces" first emerged as a paramilitary and police corps. In the Australian Army, a soldier of private rank wears no insignia. Like its British Army counterpart, the Australian Army rank of private (PTE) has other titles, depending on the corps and specification of that service member. In the Canadian Armed Forces, private is the lowest rank for members who wear army uniform. There are three levels of private: private (recruit), private (basic), and private (trained). All persons holding the rank of private are referred to as such and the qualifier shown in brackets is used on employment records only. The air force rank of aviator was formerly private, but this changed when traditional air force rank insignia were restored. The French-language equivalent of private is soldat. Private (recruit) (Pte(R)) – an untrained new recruit holds this rank through recruit training, known as the Basic Military Qualification Course (BMQ). Private (basic) (Pte(B)) – after BMQ, a soldier becomes a private (basic). This rank is held through occupational training (Qualification Level 3) until Qualfication Level 4 is attained. Private (recruit) and private (basic) are Development Period 1 within the Canadian Forces Professional Development System. In the Indian Army and Pakistan Army the lowest enlisted rank is sepoy (/ˈsiːpɔɪ/), literally meaning "soldier" derived from Persian. A sepoy does not wear any rank insignia on his uniform. In the South African Army the lowest enlisted rank is Private. Privates don't wear insignia on their uniforms. In the different corps it is known with different titles. In the British Army, a private (Pte) equates to both OR-1 and OR-2 on the NATO scale, although there is no difference in rank. Privates wear no insignia. Many regiments and corps use other distinctive and descriptive names instead of private, some of these ranks have been used for centuries, others are less than 100 years old. 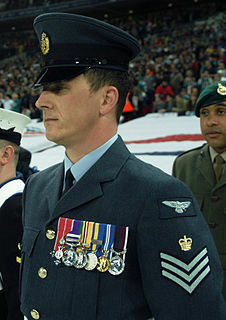 In the contemporary British Armed Forces, the army rank of private is broadly equivalent to able seaman in the Royal Navy, aircraftman, leading aircraftman and senior aircraftman in the Royal Air Force, and marine (Mne) or bandsman, as appropriate equivalent rank in the Royal Marines. In the Boys' Brigade the rank of private is used when a boy moves from the junior section to the company section. Notably, both Sir Fitzroy Maclean and Enoch Powell are examples of rare, rapid career progression with the British Army, both rising from the rank of private to at least brigadier during World War II. In the Corps of Royal Marines the rank structure follows that of British infantry regiments, the only real exception being that the Royal Marines equivalent of private is Marine (Mne). The lowest rank in the Austrian Armed Forces is the Rekrut (literally Recruit). For recruits in training to become non-commissioned or commissioned officers the rank bears an additional silver crossbar. 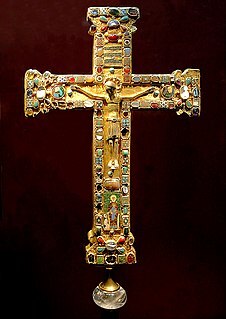 Up until 1998 the rank was called Wehrmann. In 2017 the silver crossbar was removed, as the system of the 'officers career' changed. The equivalent rank to private in the Spanish, Mexican, Colombian, Dominican and Argentinian army is the soldado raso meaning "rankless soldier" or simply soldado. On enlistment in the Belgian army one is given the rank of soldaat (Dutch) or soldat (French), whether one wishes to be a volunteer, non-commissioned officer or officer. Subsequent rank depends on the branch of the service: for example, at the Royal Military Academy (for officer training) one is soon promoted to the rank of korporaal (Dutch) or caporal (French) i.e. "corporal". The insignia is a simple black mark or the simplified version of the Royal Military Academy's coat of arms for candidate officers. Soldado is the rank equivalent to private in the Brazilian and Portuguese Armed Forces. Soldado means "soldier" in Portuguese. Military rank insignia of sotamies (private) of the Finnish Army and Air Force. In the Finnish Air Force, the basic rank is lentosotamies ("flight war man"). In the Finnish Navy, the basic rank is matruusi ("seaman"). Special corps troopers may be referred by their function or unit, such as kaartinjääkäri (Guards jaeger), panssarijääkäri (panzerjäger), laskuvarjojääkäri (paratroop jaeger), rajajääkäri (border jaeger) or rannikkojääkäri (coastal jaeger). In the French army soldat de seconde classe is the lowest military rank. This rank is also referred to as recrue ("recruit"). The German Bundeswehr modern-day equivalent of the private rank (NATO-standard code OR-2) is Gefreiter. The equivalent of the lowest rank (NATO-standard code OR-1) is either Schütze (rifleman), Kanonier (gunner) or Jäger (light-infantryman otherwise ranger), and sometimes in general simply Soldat (soldier), as well as other unit-specific distinctions. Up until 1918 it was Gemeine  (Ordinary [soldier]) as well as unit-specific distinctions such as Musketier (musketeer), Infanterist (infantryman), Kürassier (cuirassier), Jäger (light-infantryman otherwise ranger), Füsilier (fusilier) etc., until 1945 Soldat (soldier) and unit-specific distinctions such as Schütze (rifleman), Grenadier (grenadier) etc. The navy equivalent of the OR-1 rank is known as Matrose  (sailor or seaman), and the German Air Force equivalent is Flieger  (aviator or airman) which is also used by army aviators. The name of the lowest rank in the Hungarian army ( Magyar Honvédség ) is the honvéd which means "homeland defender". The word is also used informally for a soldier in general of any rank (i.e. "our honvéds" or an officer referred as a honvédtiszt, honvéd officer). This is because Hungarian military traditions are strictly defensive, despite the Hungarian army participating in offensives on foreign soil in both world wars. The word honvéd has been in use since the Hungarian Revolution of 1848. Private (Pte) (saighdiúr singil in Irish), is the lowest enlisted rank in the Irish Army. Soldiers enlist as recruits then undergo a basic course of instruction. There are three grades of private in the army. After basic training the soldier is upgraded (rather than promoted) from recruit to private 2 star (Pte 2*) (saighdiúr singil, 2 réalta). After more corps-specific training (usually lasting eight weeks) the soldier is upgraded to private 3 star (Pte 3*) (saighdiúr singil, 3 réalta). All are usually just addressed as "private", although before being upgraded, recruits may be addressed as "recruit". In corps units, the rank designation changes. In the artillery, the rank is known as gunner (Gnr), but usually only after the completion of a gunners' course, and in the cavalry it is known as trooper (Tpr). Communications and Information Services privates are known as signalman or signalwoman. Medical orderlies are sometimes referred to as medic, although this can apply to privates and corporals. In the Italian Army soldato is the lowest military rank. This rank is also referred to as recluta (meaning recruit). Soldato is the generic term for private. But in many specialized corps this term is never used, as a more specific, corp related, term is preferred. For instance the lowest rank in Alpine troops is alpino, and the lowest rank in the artillery is artigliere. In the air force this is ranked as aviere and in the navy as marinaio. Soldaat der derde klasse (soldier/private 3rd class), for soldiers in Algemene Militaire Opleiding or AMO (General Military Training), with insignia. Soldaat der tweede klasse (soldier/privat 2nd class), the basic infantry rank, an insignia single striped red band, obtained after AMO but before completion of Initiële Functie Opleiding or IFO (initial job training). Soldaat der eerste klasse (soldier/privat 1st class), comparable to private first class, with an insignia with two neighbouring striped red bands, obtained automatically a year after completion of IFO. Depending on where the soldaat serves, he may be deemed a kanonnier (gunner in the artillery), huzaar (hussar in the cavalry) or fuselier (rifleman in the rifles) as well as commando, jager or rijder. There is less differentiation than in other countries between different armed forces. A soldaat can be promoted to korporaal (corporal). In the Swedish Armed Forces a recruit is given the rank of ’’menig’’ in the army and ’’sjöman’’ in the navy. After basic training which is roughly 3 months other terms can be used such as ’’soldat’’ (soldier), ’’jägare’’, etc. In the Swiss Armed Forces a recruit is given the rank of Soldat when he finishes basic training, mostly after 13 weeks. In the Turkish Land Forces, Turkish Air Force and Turkish Naval Forces; Er (Private) is the lowest rank possible. This rank does not have any insignia. In the U.S. Army, private is used for the two lowest enlisted ranks, just below private first class (E-3) or PFC. The lowest rank is "Private (E-1)" or PV1, and sometimes referred to as recruit, but also held by some soldiers after punishment through the Uniform Code of Military Justice or prisoners after conviction until they are discharged. A PV1 wears no uniform rank insignia; since the advent of the Army Combat Uniform (ACU), the term "fuzzy" has come into vogue, referring to the blank velcro patch on the ACU where the rank would normally be placed. The second rank, "Private (E-2)" or PV2, wears a single chevron, known colloquially as "mosquito wings". Advancement to PV2 is automatic after six months' time in service, but may get shortened to four months if given a waiver. A person who earned the Eagle Scout award, the Gold Award, or completed at least two years of JROTC may enlist at any time at the rank of PV2. The term of address, "Private," may be properly applied to any Army soldier E-1 (PV1) to E-3 (PFC). The abbreviation "PVT" may be used whenever the specific grade of private is immaterial (such as in Tables of Organization and Equipment). While a soldier is currently in Initial Enlistment Training, he or she will often be referred to as "Private" by the training cadre, regardless of actual rank, even if the soldier enlisted as a Specialist (E-4). In the U.S. Marine Corps, private (Pvt) refers only to the lowest enlisted rank, just below private first class. A Marine Corps private wears no uniform insignia and is sometimes described as having a "slick sleeve" for this reason. Most new, non-officer Marines begin their military career as a private. In the Marine Corps, privates first class are not referred to as "private"; it is more appropriate to use either "private first class" or "PFC". Second lieutenant is a junior commissioned officer military rank in many armed forces, comparable to NATO OF-1a rank. Sergeant is a rank in many uniformed organizations, principally military and policing forces. The alternate spelling, "serjeant", is used in The Rifles and other units that draw their heritage from the British Light Infantry. Its origin is the Latin "serviens", "one who serves", through the French term "sergent". Private First Class (PFC) is a military rank held by junior enlisted personnel. Staff sergeant is a rank of non-commissioned officer used in the armed forces of several countries. It is also a police rank in some police services. Lance corporal is a military rank, used by many armed forces worldwide, and also by some police forces and other uniformed organisations. It is below the rank of corporal, and is typically the lowest non-commissioned officer, usually equivalent to the NATO Rank Grade OR3. The chart below shows the current enlisted rank insignia of the United States Army, with seniority, and pay grade, increasing from right to left. Enlisted ranks of corporal and higher are considered non-commissioned officers (NCOs). The rank of specialist is a soldier of pay grade E-4 who has not yet attained non-commissioned officer status. It is common that a soldier may never be a corporal and will move directly from specialist to sergeant, attaining NCO status at that time. Ensign is a junior rank of a commissioned officer in the armed forces of some countries, normally in the infantry or navy. As the junior officer in an infantry regiment was traditionally the carrier of the ensign flag, the rank acquired the name. This rank has generally been replaced in army ranks by second lieutenant. Ensigns were generally the lowest ranking commissioned officer, except where the rank of subaltern existed. In contrast, the Arab rank of ensign, لواء, liwa', derives from the command of units with an ensign, not the carrier of such a unit's ensign, and is today the equivalent of a major general. Officer cadet is a rank held by military cadets during their training to become commissioned officers. In the United Kingdom, the rank is also used by members of University Royal Naval Units, University Officer Training Corps and University Air Squadron however these are not trainee officers and most do not join the armed forces. The term used to refer to all ranks below officers is "other ranks". It includes warrant officers, non-commissioned officers ("NCOs") and ordinary soldiers with the rank of private or regimental equivalent. Officers may, in speaking, distinguish themselves from those "in the ranks". Gefreiter is a German, Swiss and Austrian military rank that has existed since the 16th century. It is usually the second rank or grade to which an enlisted soldier, airman or sailor could be promoted. Rank insignia in the French Army are worn on the sleeve or on shoulder marks of uniforms, and range up to the highest rank of Marshal of France, a state honour denoted with a seven-star insignia that was last conferred posthumously on Marie Pierre Koenig in 1984. Finnish military ranks form a system that incorporates features from Swedish, German, and Russian armed forces. In addition, the system has some typically Finnish characteristics that are mostly due to the personnel structure of the Finnish Defence Forces. The ranks have official names in Finnish and Swedish languages and official English translations. The Swedish forms are used in all Swedish-languages communications in Finland, e.g. in Swedish-speaking units of Finnish Defence Force. The system of ranks in the Swedish Armed Forces is slightly different. Like the British Army, the Australian Army does not use the term 'enlisted' to describe its non-commissioned ranks. Instead, personnel who are not commissioned officers are referred to as other ranks. These are soldiers, non-commissioned officers (NCOs) and warrant officers (WOs). Warrant officers are appointed by a warrant which is signed by the Chief of the Army. The insignia for non-commissioned ranks are identical to the British Army up to the rank of warrant officer class two. Since 1976, WO1s and the WO in the Australian Army wear insignia using the Australian Coat of Arms. The Israeli Defense Forces (IDF) has a unique rank structure. Because the IDF is an integrated force, ranks are the same in all services The ranks are derived from those used in the pre-state paramilitary Haganah, which operated during the Mandate period in order to protect the Yishuv. This is reflected in the slightly compacted rank structure: for instance, the Chief of Staff is seemingly only equivalent to a lieutenant general in other militaries. Branch insignia of the United States Army refers to military emblems that may be worn on the uniform of the United States Army to denote membership in a particular area of expertise and series of functional areas. Army branch insignia is similar to the line officer and staff corps officer devices of the U.S. Navy as well as to the Navy enlisted rating badges. The Medical, Nurse, Dental, Veterinary, Medical Service, Medical Specialist, Chaplains, and Judge Advocate General's Corps are considered "special branches", while the others are "basic branches". The Singapore Armed Forces (SAF) has five rank schemes for active and reservist personnel, with a sixth for the auxiliaries of the SAF Volunteer Corps. The rank structure is largely unified, with identical rank insignia across the Singapore Army, Republic of Singapore Navy, and Republic of Singapore Air Force. The rank insignia of the armed forces of the Federal Republic of Germany indicate rank and branch of service in the German Army (Heer), German Air Force (Luftwaffe), or the German Navy (Marine). The Ranks of the German Armed Forces,, were set up by the President with the Anordnung des Bundespräsidenten über die Dienstgradbezeichnungen und die Uniform der Soldaten on the basis of section 4, paragraph 3 of the Soldatengesetz. The Bundesbesoldungsordnung regulates the salary scales of all Federal office holders and employees including soldiers. The 'ZdV-64/10 - Abkürzungen in der Bundeswehr' gives the abbreviations and a list of the abbreviations. Rekrut is the designation of a military appointment, position or status in German-speaking countries that characterizes newly recruited or sought personnel during the initial period of the basic military training. However, in some countries, e.g. Austria and Switzerland, Rekrut might be the lowest rank of enlisted men, comparable to NATO OR-1. ↑ Singapore Air Force. "SAF Military Ranks - Enlistees". Archived from the original on 27 February 2015. Retrieved 26 February 2015. ↑ "Australian Army Insignia". Users.chariot.net.au. Archived from the original on 1 January 2009. Retrieved 8 July 2016. ↑ "DAOD 5031-8, Canadian Forces Professional Development" . Retrieved 2018-09-30. ↑ "About The Royal Green Jackets – Did you know that?". Rgjmuseum.co.uk. Archived from the original on 2012-03-02. Retrieved 2012-10-02. 1 2 3 "Official Website (Bundeswehr): Uniformen der Bundeswehr (Uniforms of the German Federal Defence Forces); shows service ranks of the Luftwaffe (page 15-17), Heer (page 09-13) and Navy (page 19-21), in German" (PDF). Bundeswehr.de. Archived from the original (PDF) on 6 January 2014. Retrieved 8 July 2016. ↑ "Duden : Gemeine : Rechtschreibung, Bedeutung, Definition". Duden.de (in German). Retrieved 2016-07-07. ↑ "Army Regulation 601-210, Chapter 2–18" (PDF). Armypubs.army.mil. Archived from the original (PDF) on 17 June 2012. Retrieved 26 January 2014.